We are a professional family ran business, licensed and insured company with over 25 years of experience specializing in affordable commercial and residential paving and grading services throughout the Peninsula. 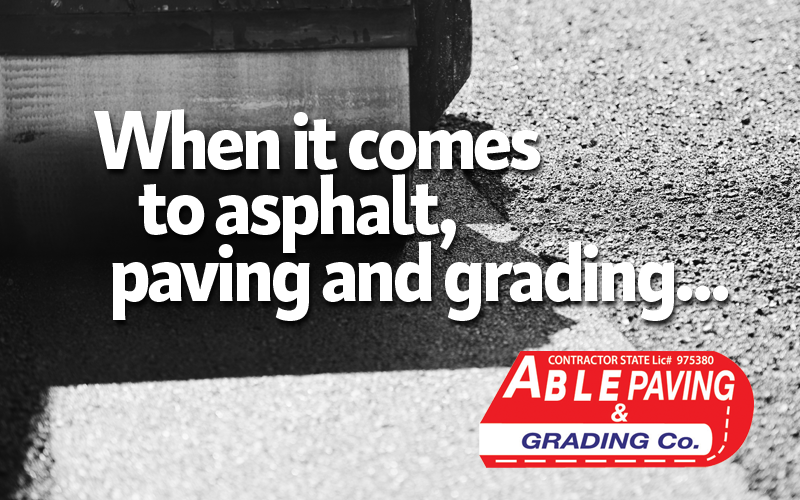 Able Paving and Grading is here to provide great customer service and professional workmanship on our services. We use our experience and our great equipment combined to get the job done right the first time and always remember “Any job, big or small, we are ABLE” in a timely, and cost effective manner.